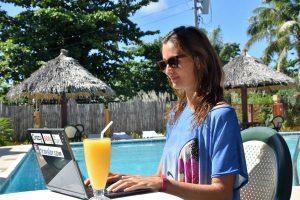 If you are a travel blogger, then I’m sure you laugh like crazy because these are the most common quiestions we get when we say we are travel bloggers. No wonder why many bloggers nowadays choose not to use that term at all and prefer others not to call them travel bloggers. Anyway, I have been able to travel to more than 56 countries mostly thanks to this blog since March 2011 without having ”a real job.” And not just that. How do I do it, you ask? … and still have time to earn money?? I would love to do nothing and still have money to travel. But life of travel bloggers is hard! Honestly, the past 5 years since I gave a month notice and quit my flight attendant job in Italy, I have been making living out of this blog for the most part. As I am not one of those stereotype lovers, I opt for wide variety when it comes to earning money, too. It depends on where I am but when abroad, most of my income comes from my blog – I’d say around 80% when traveling; while when I am in Slovakia it’s way less than 80%, as I do more of the activities mentioned at the end of the list where I have to be personally present. When I say I earn money from my blog, I am talking of things such as social media shares, affiliates (selling others’ products on my blog and social media channels), advertising, brand ambassadorships (e.g. I was representing Lenovo and Acer for a year), paid interviews (on other websites/magazines), articles on my blog, online marketing and social media consulting (I give advice to other bloggers, different companies, PR and travel agencies, hotels etc. ), I sell my photos/videos. As over more than 7 years I’ve managed to built following of more than 140,000 people, PR/media come to me for some information. *If you are not a blogger or you don’t work online, most probably you have no idea about all these things I mentioned above and giving you more details would not help. Since 2014 I have published 3 ebooks, altogether approx. 380 pages. Two of them are in Slovak (for that part of my audience who can’t speak English and is from my home country) and one is in English. 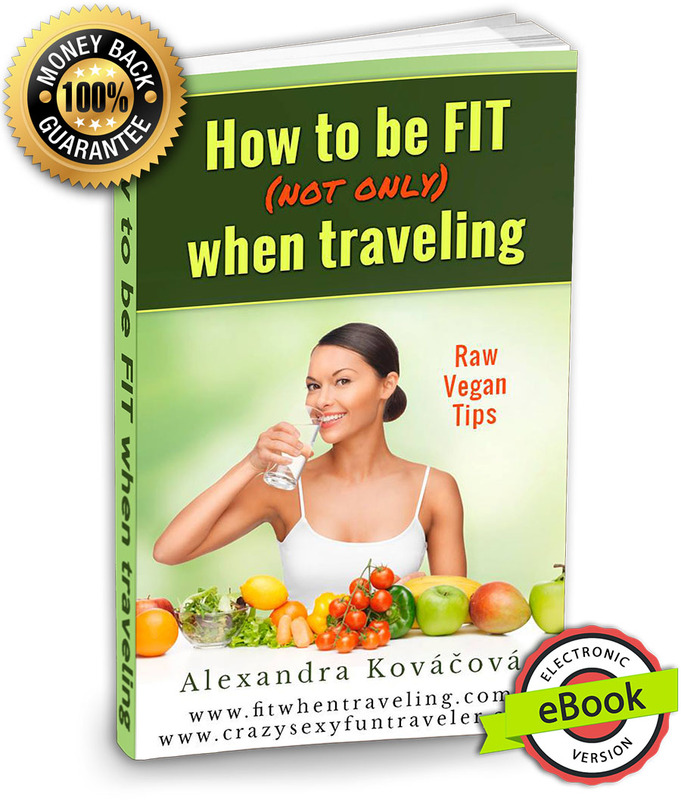 Two ebooks are about how to be fit when traveling, some exercise and food tips; and one about my 20 funny travel adventures in 9 countries. If any of more than 800 free posts on this blog have ever helped you and you would like to have a laugh rading about my adventures or become healthier, definitely check out my ebooks here and consider buying one. TIP: Keď rozumieš slovensky a zaujíma ťa táto téma, kukni na eBook Bloger ako zamestnanie, kde sa dozvieš ako si vytvoriť blog, ktorý ti bude tiež zarábať. I am trying to get out of my comfort zone and speak at conferences and travel shows whenever I get a chance (would you believe I am a shy introvert?) Most of the conferences are in Slovakia or Czech republic as speaking in Slovak comes more naturally to me. 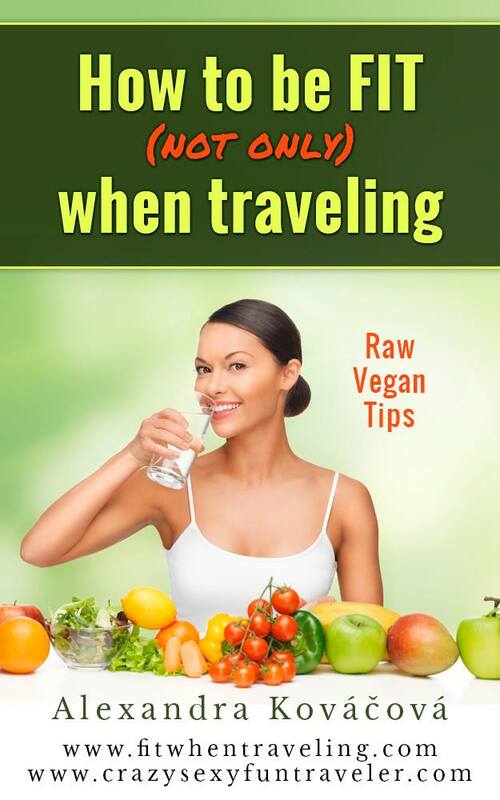 There’s less of travel and vegan food presentations here than in many other countries. Writing my blog in English is a lot more difficult for me as it’s still a foreign language. However, it does have some advantages as well – not only I can reach to a bigger audience but then I can also write about similar things in my mother tongue Slovak. 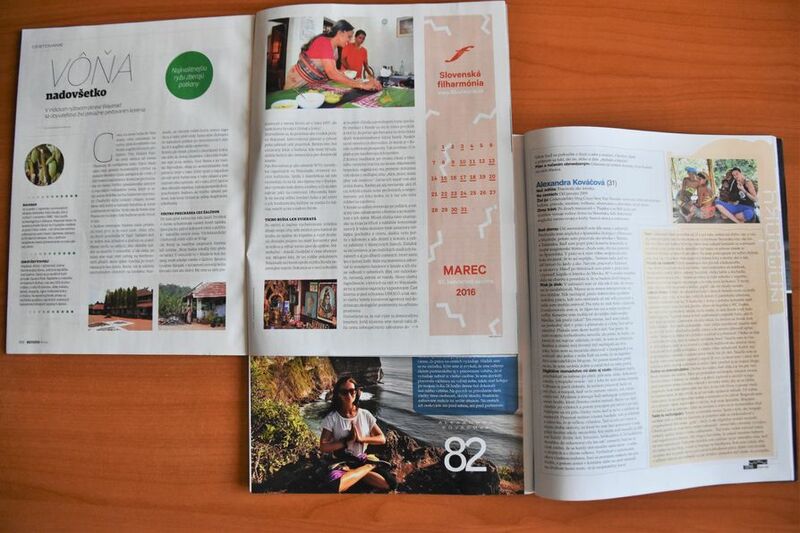 I usually write a few articles per year for some Slovak magazines (mostly Profit and Trend) about traveling, other cultures or even different habits and perception of men and women abroad. More about my articles and mentions can be found on my writing portfolio website. 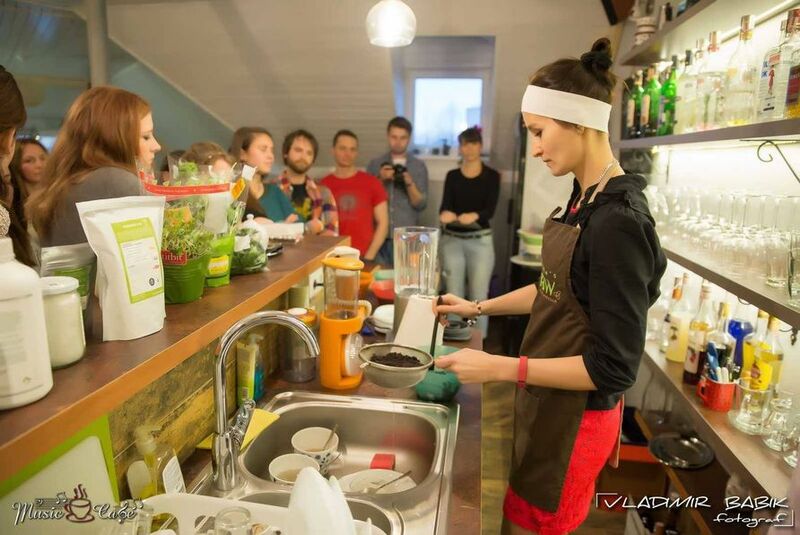 As I am really passionate about raw vegan lifestyle trying to follow it as much as I can (of course, I have my cheat meals or even days, too), I have been organizing raw vegan courses in Slovakia. I give them the basics of this diet, the pros and cons, teach them food combinations, and some easy recipes. On some courses I focus only on detox and not vegan diet in general. It makes me very grateful to hear about my client’s life changes after the courses. You can find out more about my raw vegan courses here. When I am in my home town in Slovakia, I do teach yoga 4 or 5 times a week which can be up to 10 hours a week. It was my friend’s idea already back in June 2014 and a huge challenge for me, but I said yes and couldn’t be happier now. I also co-organized a week yoga retreat in Croatia in June 2016. Teaching yoga not only forces me to practice more, too, but also see the progress of others, what others want to practice, what they can and cannot do. And most of all I can earn something (pretty much to cover my food expenses) helping other people to get in a better shape and health. Do you still think I am super wealthy and do nothing? Hope this list has given you a better idea of my ”not doing nothing” paradise life. Did you know about all the 7 ways I earn money when traveling? Share in the comments below. I am very impressed with your candor and your versatility! I feel inspired when I read your work and I would like to do more than just know what this travel life is like, vicariously. I can see that there is give and take involved and how it is all so worth it. Cheers to you for giving us the inside view of your life! When I read about smart people like you from our homeland, it makes me feel proud and be a patriot. My dreamjob is to be a freelance writer too, but focusing more on business ideas, stories of successful people, etc. I have already started to write about it on my Slovak blog too and am about to lauch my English blog sonn as well. Good luck, Alex! All the best! Great Job, keep it up. We are here to read what you write. Love this! I purchased your e-book as well, great job! You are super inspiring wth your determination and commitment ?? Good for you that you managed to live your dreams! I’m curious though, how did you get to be a travel blogger? Thanks, Maria! I just made my blog one morning when I couldn’t sleep and started writing about my trips.